SPECIAL PERIHELION SALE! TO CELEBRATE THE EARTH'S CLOSEST APPROACH TO THE SUN (JAN 4), "PERIHELION" IS "NAME YOUR PRICE" ALL WEEK! 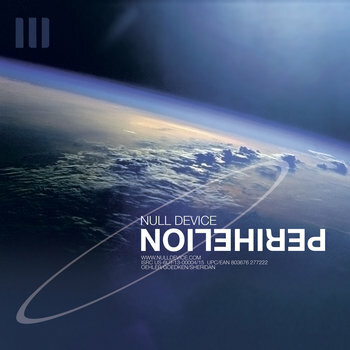 Null Device's unabashedly modern 5th full-length continues to blend dance music with pop hooks and instrumental influences from around the world. Astronomical images taken from the "Great Images in NASA" public domain archive. NASA does not endorse Null Device. Although it'd be really cool if they did.